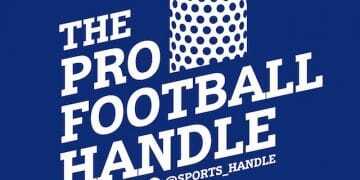 On The Pro Football Handle, Las Vegas-based sports talk voice Matt Perrault and veteran bookmaker Robert Walker of USBookmaking dive into select NFL games, line movements and bookmaker liabilities, plus greater sports betting topics and stories that may have nothing to do with football. Walker has seen it all behind the counter and Perrault the same from behind the microphone, so they’ll have you prepared for anything. NFL Week 8 has both a potential NFC Championship preview in Saints vs. Vikings and the worst game of the year with 49ers vs. Cardinals. The New York Football Giants are in the midst of a fire sale and the Oakland Raiders are officially in tank mode. There are some crazy lines this week, listen below for complete insight and some laughs. Spotify fans go here to listen. Time codes for the episode follow below. Your feedback is welcome at @sports_handle. 0:44 — Recap of Week 7. 5:10 — The Giants’ (controversial)2-point conversion was the right decision. 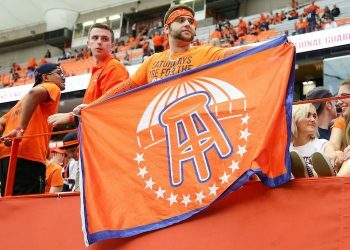 9:50 — Is the NFL the next league to deal with tanking? The Raiders’ recent trades scream “tank mode”. 17:47 — Philadelphia Eagles -3 vs. Jacksonville Jaguars (London) — The Eagles have been competitive and the public is still on them. The Jags were supposed to be among the best teams in the NFL this year but now are in a free fall. 21:20 — Cleveland Browns +8 at Pittsburgh Steelers — Steelers’ hold out RB Le’veon Bell will not return until after the trade deadline. Pittsburgh will beats Cleveland, but not sure they will cover. 24:22 — Denver Broncos +10 at Kansas City Chiefs — The Chiefs aren’t just beating the spread they are killing it. The Broncos have never been double digit dog vs. KC until now. Both teams won 45-10 in Week 7, what will Week 8 hold? 28:18 — Green Bay Packers +9.5 at L.A. Rams — The Rams are just ripping people apart recently, bit this is the biggest dog margin ever for an Aaron Rodgers QB’d team. Take the dog or the over. 31:10 — Washington Redskins PK at N.Y. Giants — The Big Blue fire sale is not impacting lines because the ‘Skins are a hard team to gauge. 33:13 — San Francisco 49ers PK at Arizona Cardinals — Don’t watch this game, don’t play this game. 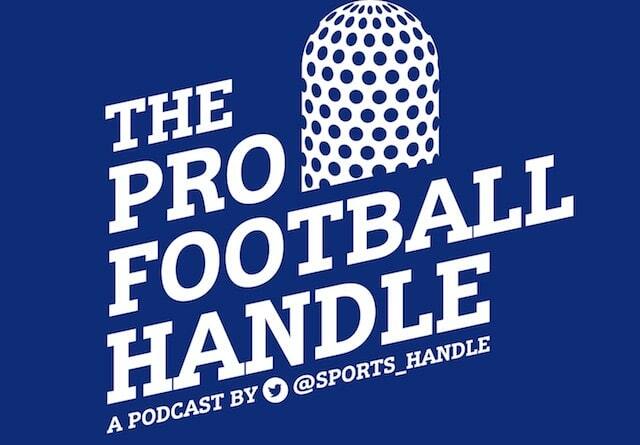 34:51 — Seattle Seahawks +3 at Detroit Lions — Newly acquired defensive tackle “Snacks” Harrison should make his debut in a Lions uniform this week and the public thinks Detroit turning a corner. 38:29 — New Orleans Saints PK at Minnesota Vikings — Game of the week! Probably the most bet game of the weekend with both teams as serious Super Bowl contenders. Can make a case for both teams but Minnesota is the play here since they are home. 43:25 — New England Patriots -14 at Buffalo Bills — The number prevents a lot of action on this game. But it’s a Monday night, Buffalo has some pride, so bet the Bills or walk away. 46:16 — Baltimore Ravens -2 at Carolina Panthers — The league has figured the Ravens out. Expect a lot of action on this game. 47:16 — Tampa Bay Buccaneers +4.5 at Cincinnati Bengals — Bettors seem to like Tampa and just saw them prevail with a 59-yard game winning field goal. Cincy opened the season with the over/under at 7.5 games and the public is expecting a course correction. 48:48 — N.Y. Jets +7 at Chicago Bears — A healthy Khalil Mack will be a game changer. Teaser leg candidate. Have a profitable Week 7, folks. Follow Perrault on Twitter @sportstalkmatt and Walker @robertusfsports. Thanks for listening and see you back next week, tell a friend, sign up for our newsletter and also stay tuned forthis week’s Cover City Podcast, featuring sports bettor Eric Rosenthal with guest Christian Pina.